#1 – To test the Story Premise. It’s common screenwriting advice to write a logline (aka a one-line pitch) before writing the first draft as a test to make sure you have the basic story premise down (PROTAGONIST + PROBLEM + GOAL) and to confirm these elements connect. Read How To Write A Logline for more on that. 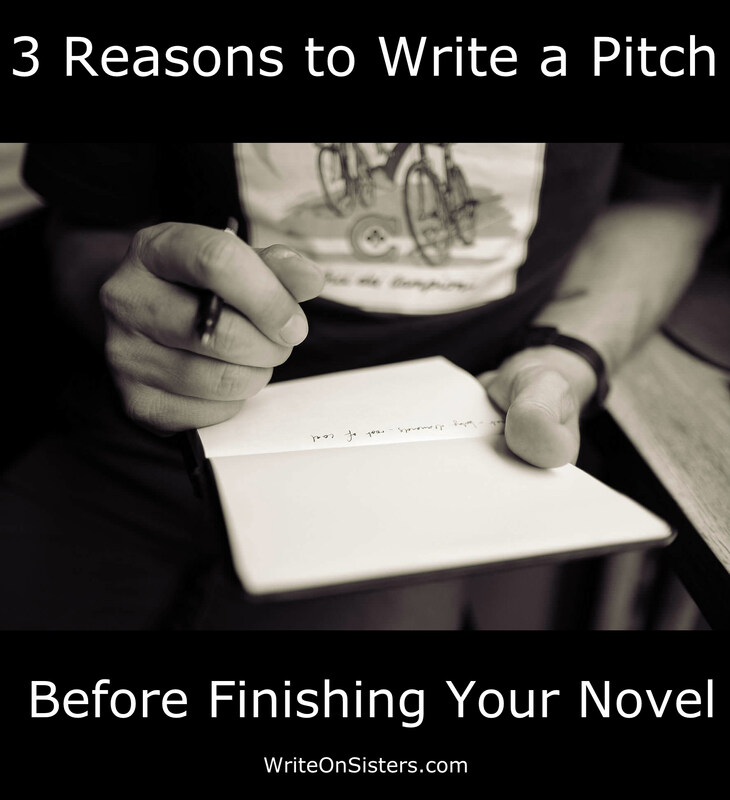 Other benefits of writing a one-line pitch? When people ask what you’re writing, you have a concise, catchy answer for them! #2 – To see things from an Agent/Publisher’s Perspective. A synopsis or query (aka a paragraph or one-page pitch) includes the story’s major plot points. Once you’ve done some story development (for plotters that can be a beat sheet or outline; for pantsers that’s the rough first draft), write a test query letter to put yourself in the mindset of an agent or publisher. Now, from a publishing professional’s perspective, does this synopsis make sense or are there plot holes? Does it intrigue or confuse? Does it sound original or generic? Would it stand out from the thousands of other queries received? Be honest. The reason you’re doing this now is so you can make changes to your WIP long before you’re at the submission stage. Because by that time, well, it’s a little late. #3 – To clarify the Hook. A book blurb is a pitch to the reader that leads with the “hook” that gets them to buy your book. This is a little different than a synopsis in that a blurb doesn’t include spoilers like plot twists or the ending. And because those things are omitted, it forces you to see if you can sell the story without revealing that amazing twist. Because you have to! If you can’t, that’s a sign you need to come up with a proper hook. Also, finding and defining the book’s hook helps locate structural issues, like too much set up. I blogged about that in this post: What Book Jackets Teach About A Story’s Hook. 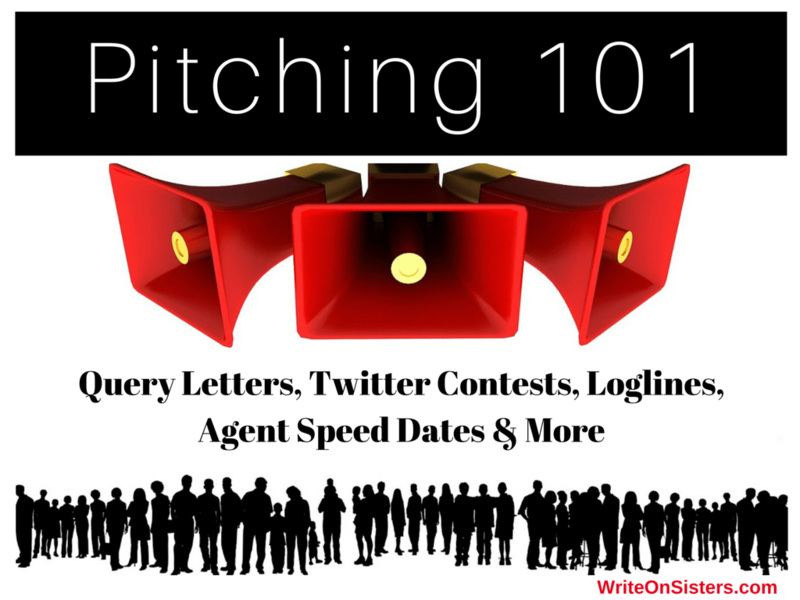 So even if you’re not near the official agent/publisher pitching stage, I’ve just given you three reasons to stay tuned this month as we blog about all things pitching, including query letters, the elevator pitch, and the increasingly popular Twitter pitch. Do any of you write pitches before or during your writing process? I’ve taken to writing some sort of pitch or story synopsis before I start the actual story or book and updating it from time to time. It helps me keep the focus of my story in mind as I go. Perfect! Keeping focus is another great reason to write a pitch. Glad to hear this process is working for you! Our writing group just tackled Twitter pitches and we are about to do synopses. I shared your site as it looks like we are all on the same path. Thanks for the great info! You’re very welcome! I hope you find lots of helpful tips in our upcoming posts. And a big “HELLO” to your writing group, Jenni! I can’t do this because I have no idea what is going to happen in my stories. I know that probably makes you cringe but it’s true. This is excellent advice, though, and I’ll try it when my first draft is done . Absolutely! For the pantsers, that first draft is your story development stage, so you may not be able to write any kind of pitch until it is done. And that’s totally fine! But afterwards I hope you find writing pitches a helpful part of honing your story. Let me know how it goes, Sarah! It definitely does! And I also revise as I go. Because often the story changes as we write. Thanks for the comment, Jane! Thanks for the concise explanation of these three strategies. I’m looking forward to learning more this month as I’m working on creating a query letter.